Start English Single-use plastics: A political or environmental decision? Single-use plastics: A political or environmental decision? 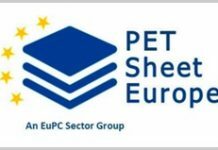 Statement by European Plastics Converters: The recent, swift developments of the EU Single-use plastics directive proposal are developing at a very worrying speed. The European Parliament and the Council are called to make up their minds in very short time frames, deviating from usual best practices and agreed calendars. The proposal for a Directive on the reduction of single-use plastics has been already criticized for the poor assessment and lack of LCA by the European Commission. Now we are seeing a number of rushed EU legislative steps that also question the time for co-legislators to properly form their own opinions. The undue speed of this process seems to be driven by the forthcoming European elections, without scientific assessment of the consequences and damage to the environment. Earlier this year, the European Commission published an EU Strategy on Plastics which was focussed on the need to scientifically assess the best environmental solutions, to provide circular solutions and to increase separate collection & recycling. Then, some months later, this proposal is presented, calling for reductions and bans, which will reduce a good source of recycling input and impair the availability of certain categories of packaging. This is happening at a time when the recently revised Waste directives have not yet had the time to be fully implemented. European Plastics Converters is afraid that much single-use packaging, which is proven to guarantee health, hygiene and safety of use, would be discriminated for allegedly environmental solutions, such as paper cups with plastics coating, that do not necessarily perform better than plastic cups from an LCA point of view and also present weaker End-of-Life disposal and recycling options. Additionally, the new calendars for internal discussion and votes push the European Parliament and the Member States to the extreme situation of limiting the understanding of such consequences. For this reason, European Plastics Converters urges the Members of the European Parliament and representatives of the Member States sitting in the Council to take the time to understand the true implications of such a proposal, that is far from ensuring the desired environmental benefits but instead risks destroying jobs in the EU for many SMEs.